I’m a believer in the value of classroom chatter. Very often, amazing things happen when we just let kids interact, chat, collaborate, discuss, speculate, pontificate…Yeah, I pretty much am a fan of that kind of classroom. Most of the time. You need a microphone, and you’ll have to click “allow” to let the program access it. That’s pretty much it. 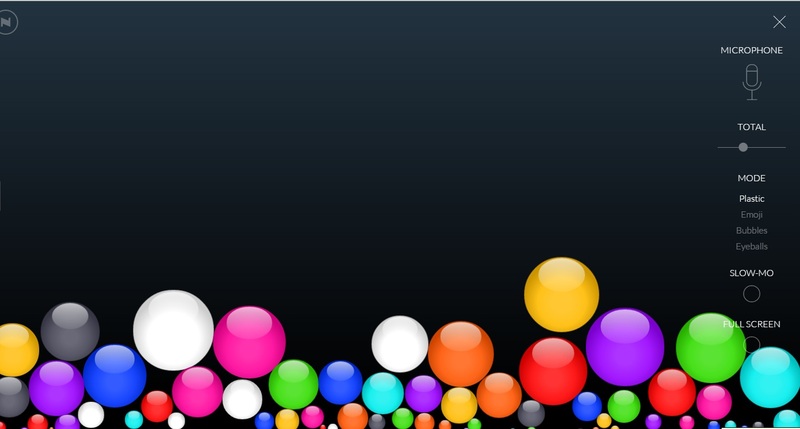 Bouncy Balls is just kind of cool, so I thought I’d share. Let me know what you think of it.